We are a Northamptonshire based agency who supply event staff and promotional models for anything! 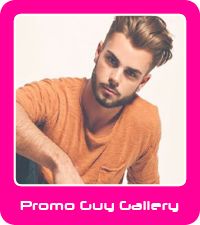 Our leading promotions agency gives you access to thousands of experienced local promotional models. We have promo girls local to all areas including Corby, Daventry, Irchester, Kettering, Northampton, Rushden or Wellingborough. Also with Silverstone only being around the corner we have grid girls readily available! Our event promotion staff can carry out any duties you require from handing out leaflets, collecting data and demonstrating your products! There are always Motorsport events on in Northamptonshire especially with Silverstone, Santa Pod and Rockingham in the district. We are a leading supplier of Grid and Bike Girls for Formula One, MotoGP and Superbikes events. We also supply hostesses and conference staff at both these locations. Our corporate staff have looked after clients on track and driving experience days. And of course we have provided grid girls and hostesses at BTCC for the Rockingham rounds. With our head office being situated in the East Midlands, being centrally based gives us excellent coverage and enables us to find and provide you with the best promotional people. So if you need staff to promote your products at an event, function or promotion in Northamptonshire then let our leading agency Pitlane Promotion provide you with the best local event staff. Whether you are having a big event and need lots of extra hands or just a small one off and just need one person for half a day whichever it is why not contact the team on 0844 800 0071 or complete the enquiry form below to email us your requirements.